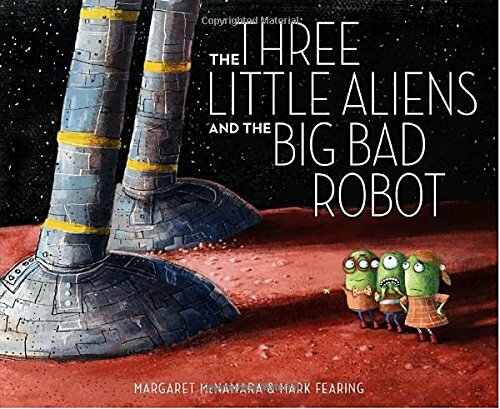 Best Robot Books Ever! Get the list now, because . . . ROBOTS! Beep Bop Beep! 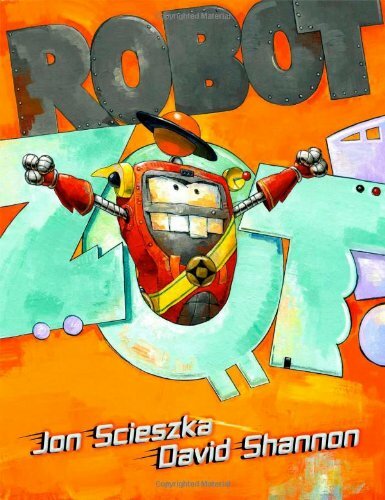 Here are the Best Robot Books for Boys! These fiction robot books are awesome. Boys who think robots are cool, wish they had one, want to build one, dream about them and think about robots all the time are going to l.o.v.e. this book list. When you are done looking here, be sure to see all of the other best books for boys too! If you are in the robot stage, this list is for you. If you have not gotten there yet, pin it, you are going to want to have it down the road. We start with a very cool board book that I know you are going to love (we do!) The Robot Book is a delight. Even the cover has interest and one simply has to open this book and play around with it. There are a lot of neat things to move about such as nuts and bolts, and gears, gears and more gears. The ending is sweet and this book is a winner! Recommended. 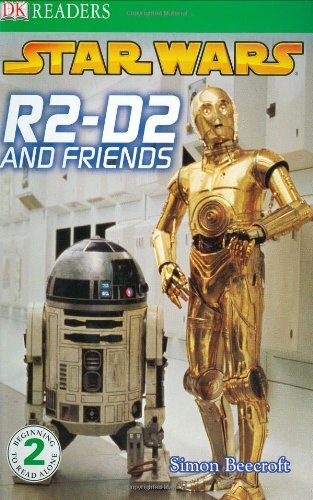 Star Wars: R2-D2 and Friendsby Simon Beecroft is great for young readers. The book is geared toward kids who are beginning to read on their own. Great photographs from the Star Wars movies are included. Less of a story and more informational about R2-D2 and his friends. 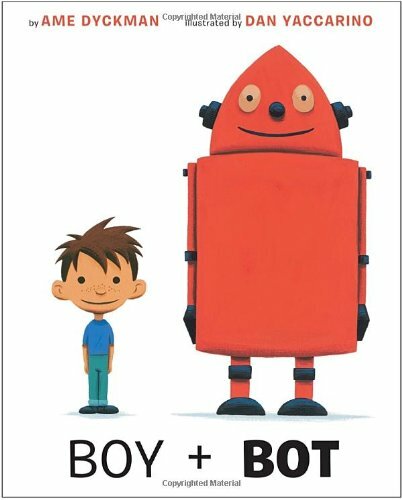 Boy and Bot by Amy Dyckman is one of those “must read” books that has to be included in any respectable best robot books for boys list. After all it has a boy, and a robot, and it is nifty as well. A wonderful friendship book. If you are looking for a very cool robot alphabet book (and who isn’t–we love alphabet books!) 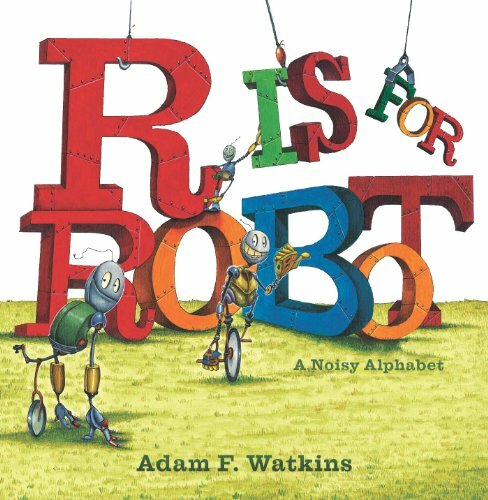 try R Is for Robot: A Noisy Alphabet by Adam F. Watkins. Zany! Robot Zot! by Jon Scieszka and David Shannon is a super popular book for boys. 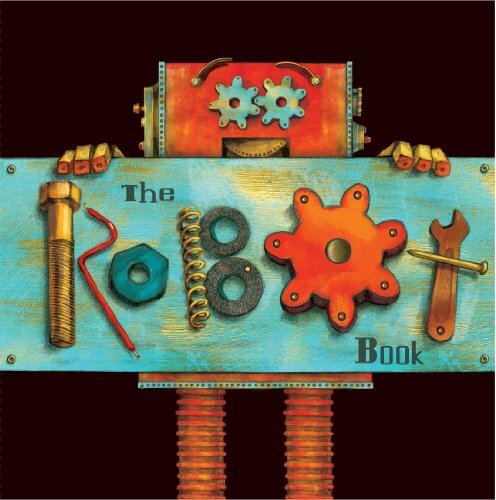 Get your robot voice tuned up for this fun book. You will be reading it again and again. After all what boy doesn’t want to conquer earth and save a princess. Three Little Aliens R Is for Robot: A Noisy Alphabet Robot Zot! 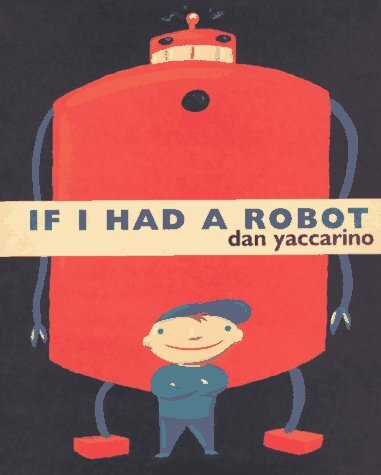 You must see the charming illustrations of If I Had a Robot by Dan Yaccarino. He is a delight and there are more titles by him on the list. A young boy wishes he didn’t have to eat his veggies (sound familiar?) and he wishes he had a robot to do things like that for him–or does he? 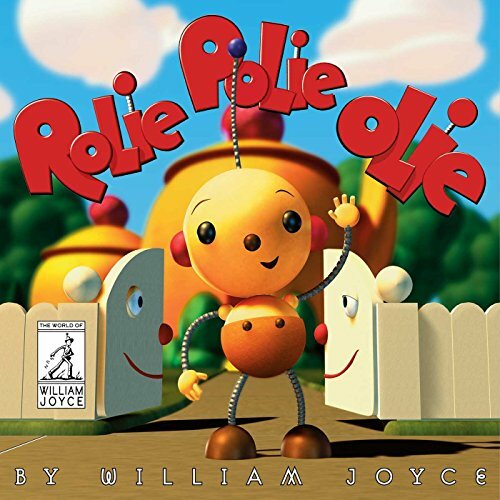 Rolie Polie Olie by William Joyce is classic robot rhyming book. I am in love with the illustration style mostly because I am big fan of tiny details and this book has a lot of them. Delightful. For something different try Can You See What I See? 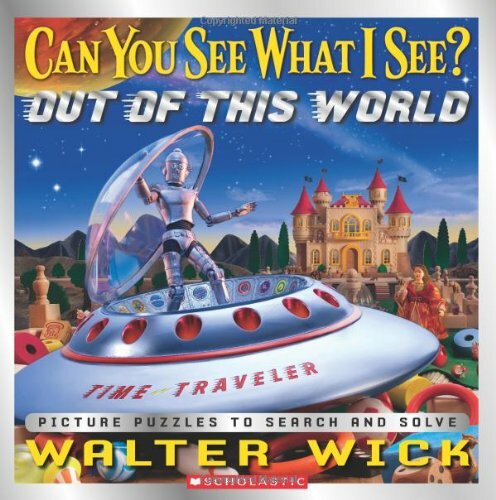 : Out of This World by Walter Wick. He writes fun books for sure. Your boy will have fun trying to find the robot in each of the pictures, along with a plethora of other things. 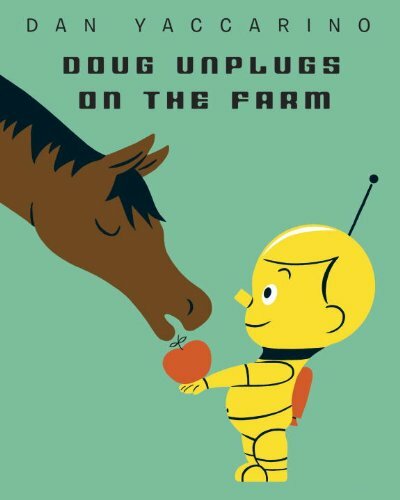 Doug Unplugged and Doug Unplugs on the Farm by Dan Yaccarino are great robot books for boys. 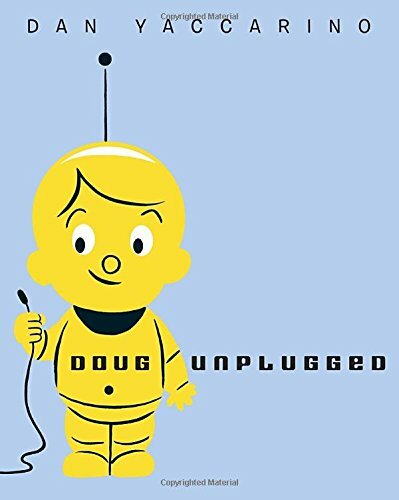 Plug him in to give him a ton of information vs going unplugged and experiencing life–pretty interesting (and yes I could write a whole long post about that thought.) Both books are good, but I like the first one better. CookieBot! 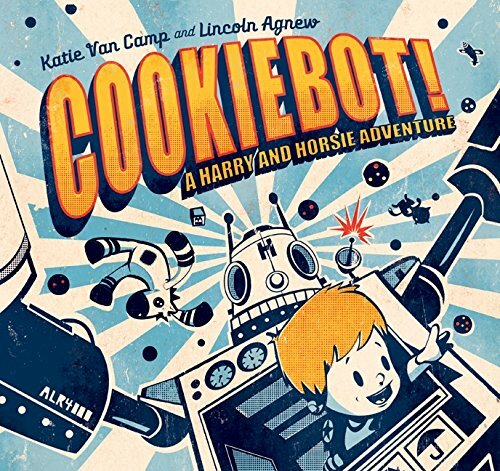 : A Harry and Horsie Adventureby Katie Van Camp and Lincoln Agnew is a classic boy wants cookie, cookie jar is up too high to reach, story. Featuring a seriously retro 1950s illustration style–it is very, very neat. Great imaginative book boys will love. Recommended. Have you seen our Homeschool Unit Study Robots? It has a lot of really fun robot things to do with kids from preschool to teen. You can also make your own robot! 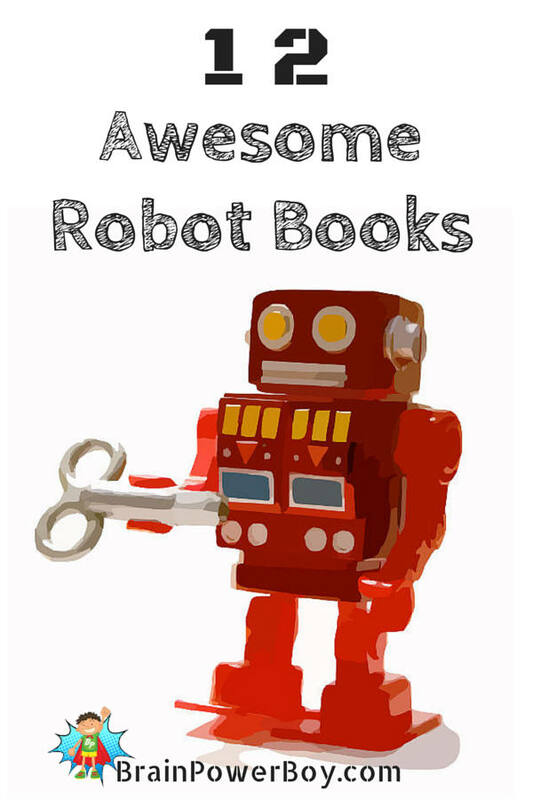 Or, if you need other book ideas, try our Robots! Non-Fiction. Thanks for reading. 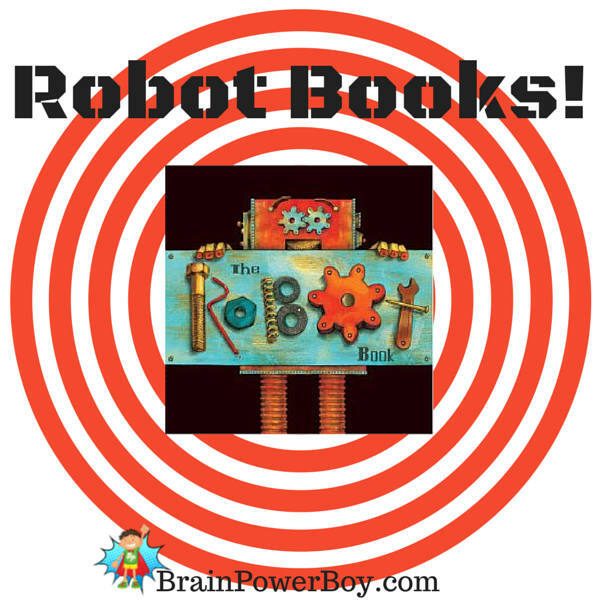 Hope you enjoyed this list of the best robot books for boys! Got a robot book that your boy loves? Share it in the comments–we would love to take a look. It is like you were reading my mind and knew I was looking for reading material for the holiday break! Liam loves robots and I’ve already start reserving the titles at our library and I can’t wait to read them with him. Thank you for putting together such a great list! So glad this fit the bill for your holiday break reading material. Happy to hear you enjoyed the list. Hope your son likes the selections! This is a great collection of books. I can’t wait to check them out at the library! Glad you liked it. We are bit robot fans here so it was easy to round up our favorites. When my boys first started reading, I would go to the library and try to find books about robots because my boys loved robots so much! Yes, robots sure are popular. Thanks for the comment! Fabulous collection of books and I know some boys who would love to get these for Christmas! Each of my boys has gone through a robot phase where robots were the coolest things on the planet. They would love these books! Thanks for sharing. You are most welcome Kara. These are favorites of ours. Hope your boys enjoy them too. Hey Sheila! This is a great list! Thanks for linking up at Family Fun Friday! Welcome to Your Awesome Robot is one to check out. My 4 year old really enjoys R.Robot Saves Lunch and for older kids….House of Robots. I will jot those down to take a look at them. Always enjoy hearing about books others liked! Thanks for stopping by Julie. So glad to hear you like the list. My blog is all boy 🙂 Yes, of course girls like robots too. Great list, though I’m a girl and I love robots, especially Transformers and Go Bots from the ’80s!